We talked to a lot of students from several design schools and sent some questionnaires. We quickly realized that there was a serious need because most of them agreed there was no easy way to find agencies. 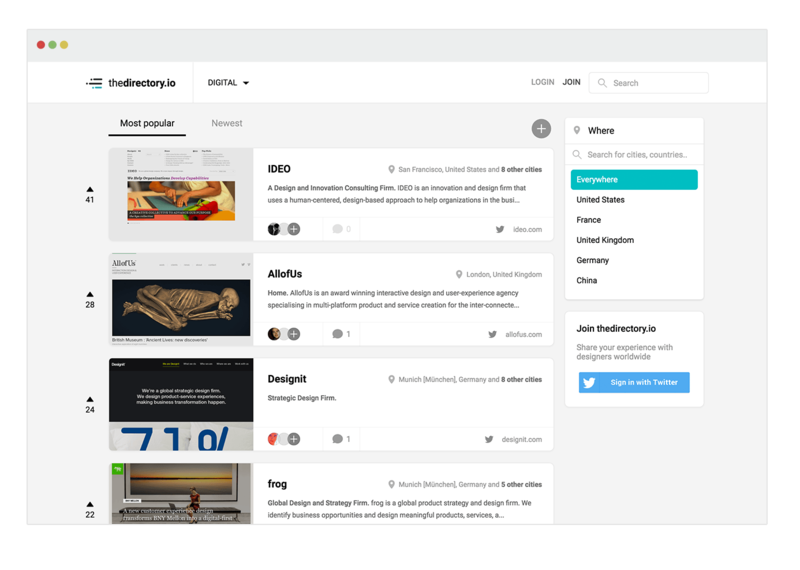 Screenshots of existing design directories. Text-only directories made the user feel lost or overwhelmed. So pictures are necessary to make it easier to browse through that kind of content. We wanted the experience to feel exploratory. We quickly realized that students don't necessarily know what they are looking for at first, and it's complicated to make agencies fit in a single box. We wanted to create a list of agencies that you could browse through without changing page. To make the navigation as simple as possible, we decided to only offer a location filter. After we validated our concept, we worked on the User Interface. We wanted our directory to feel as simple as colorful, and to look serious and fun at the same time. We went for rounded shapes and icons. 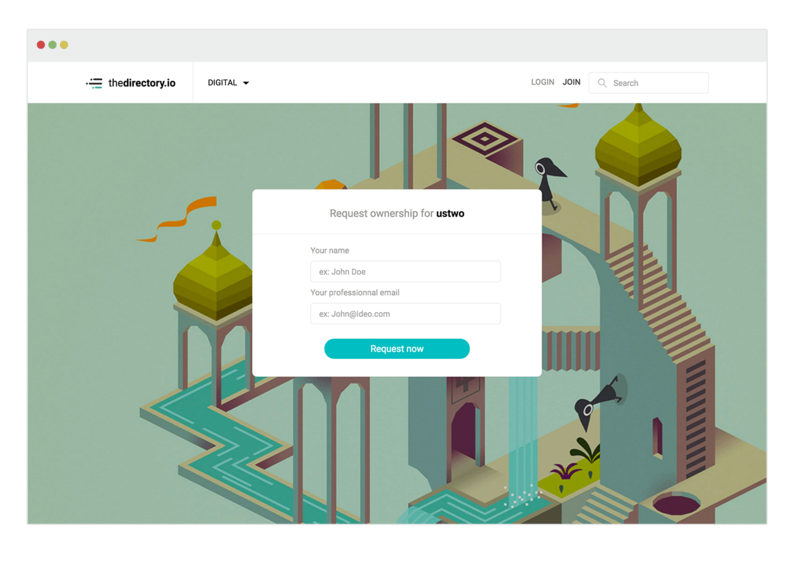 Our aim was to first build a functional prototype as fast as possible and make it available for users online, so we could then be able to iterate quickly based on real feedback. 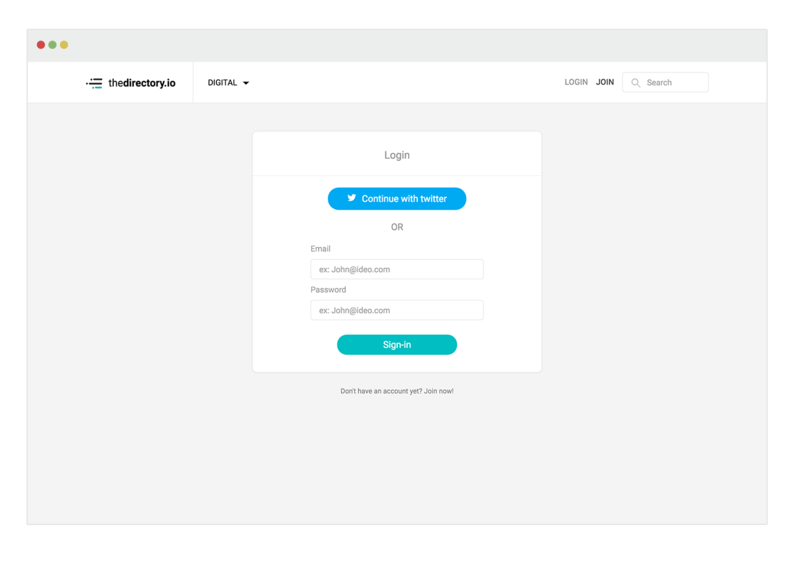 We spent the design phase switching between Sketch, SublimeText and Chrome. A single tile displaying the main pieces of information about an agency. Many design companies are split between different offices in different locations around the globe. This can complicate the workflow for the simple user wanting to add an agency: what if he doesn't know all of the locations already? what if the agency is already listed in the directory, but in a different city? 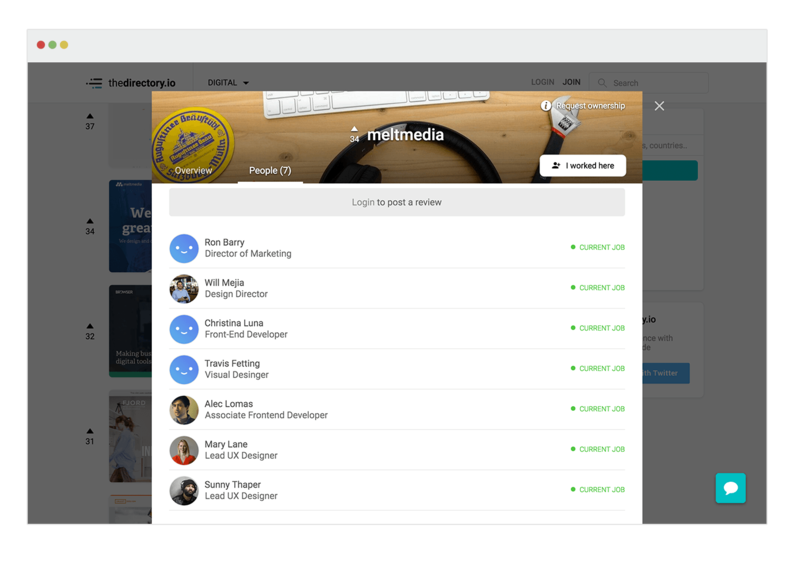 Here is how we dealt with that problem and made it simple: Each time an already-existing agency is added with a new location, we just append that new location to the agency tile. This introduced what we call "locations lists" and allowed an easy management of companies that are split between different offices. 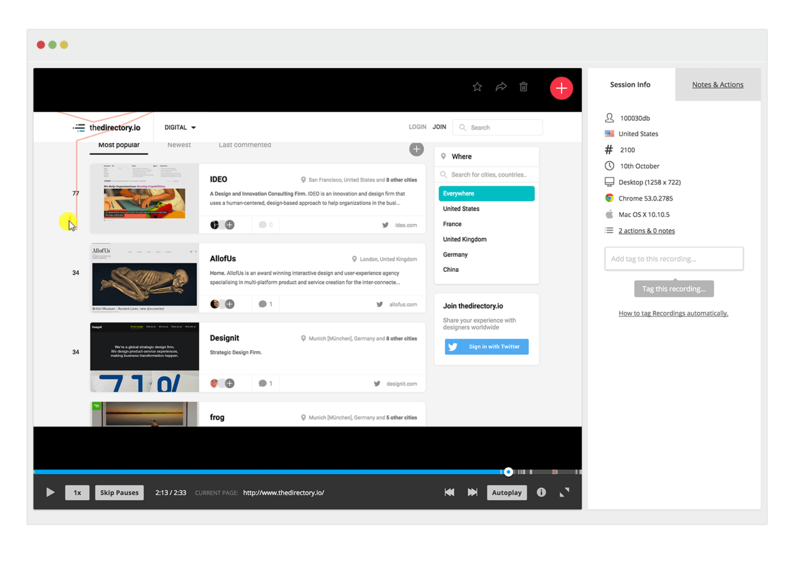 At the same time, it helps users know how big is an agency at a glance. Turning the "add an agency" interaction into an easy and rewarding experience. In terms of content, we needed a description of the agency, the name, the website address, a meaningful picture and the locations. I was able to retrieve most of these details through the URL of the website: we got meaningful pictures by automating snapshots of the websites, and then got the company names, the descriptions, and even the twitter accounts by scraping the META TAGS written in the code of the webpages. But we still wanted the user to fill the location input out by himself in order to avoid mistakes. In the end, while only using two fields, we were able to create a complete and meaningful tile. Only two inputs to fill out. 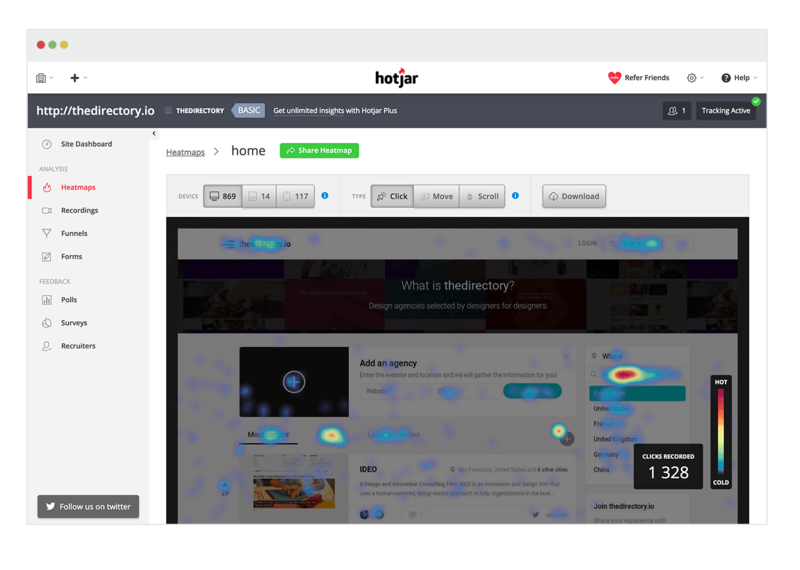 We used HotJar to monitor and analyze our users' behaviors through heatmaps and mouse tracking. It helped us focus our efforts on the right features, instead of going blind. At that time, we wanted to officially launch soon, but we were still trying to define our MVP. We started figuring out that we could go further, and include some social features. Even though we knew that it would not be much used at the beginning, we thought it could be useful in order to measure the engagement of the users and use it as a key metric. 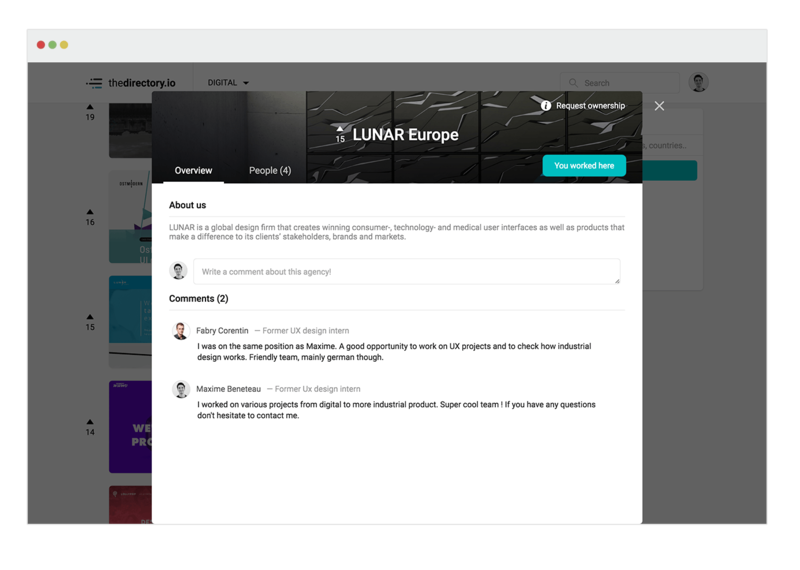 We wanted to create an area for students, where they could discover agencies of interest for them, find who works there and get opinions. 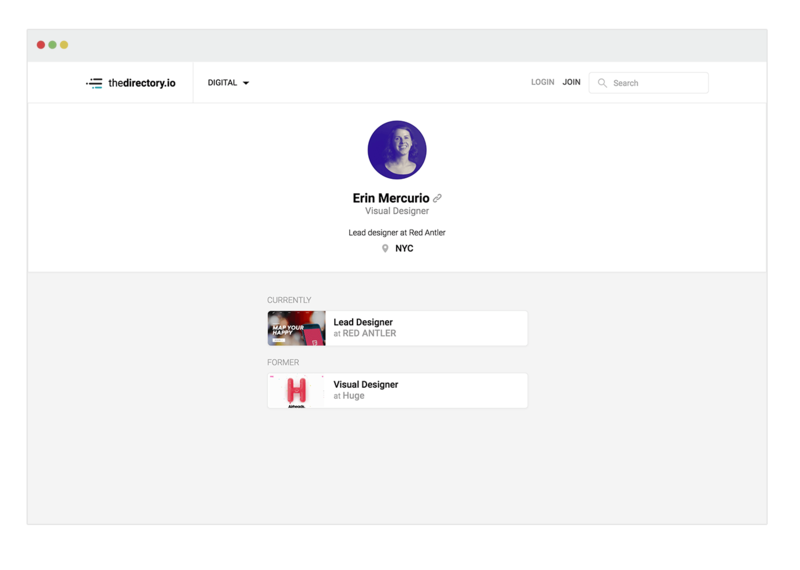 During October, we first got featured on Designer News, and then it quickly spread around and we got featured on other communities : Muzli, ProductHunt, SideBar. We started getting a lot of traffic and consequently a lot of sign-ups. We realized that lots of agencies were interested in being listed on our directory, and we figured out that the "design students" were not the best possible target for the service. We needed to focus on agencies instead. 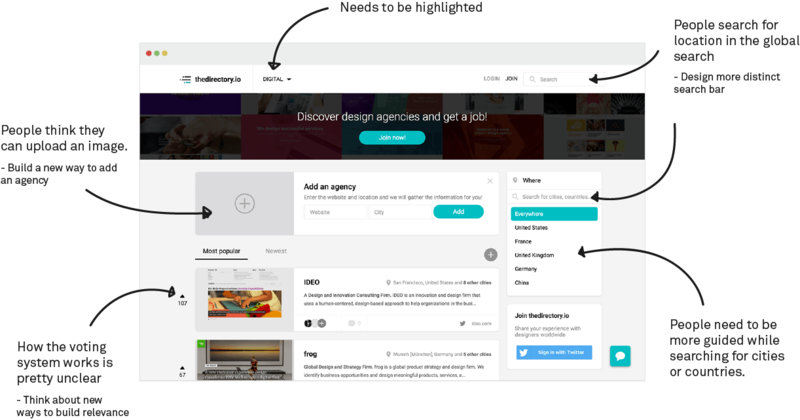 Getting as much designers and agencies as possible on our directory, and then targeting people looking for jobs in the design industry.